Join Our Team and Drive with TTR! From Coast to Coast, We Can Handle It! Whether you need to move copiers, medical equipment, or forklifts from coast to coast, or an entire office building, our team of white glove movers will make it seamless. We ensure the safety of your equipment throughout the length of the shipment by shrink-wrapping, padding, and properly strapping all assets. We are able to make this happen because of our amazing team of coordinators, dispatchers, and project managers, as well as our advanced order management software OME™. Additionally, our online quoting, order placement, and tracking, allow you to access everything you need at any time of the day. Contact TTR Shipping today to learn more about our specialized shipping services 1-888-333-6865. 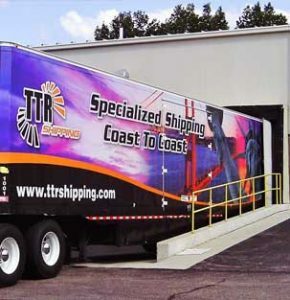 At TTR, our goal is to meet all of our customer’s needs anywhere across the U.S. An important part of this is to make sure that we partner with reliable and safe carriers in order to service every inch of the country. As an authorized shipper for all copier manufacturers and leasing companies, we are qualified to handle any copier shipping request. We handle everything from moves to lease returns to repossessions. Our specialized team of office moving experts, can move a small office or an entire building. We accommodate to every need and can come in after business hours or over the weekend to ensure the smoothest move. With any large moving project, a personal project manager will be assigned to ensure a smooth move with a single point of contact. Additionally, our OME™ software will provide updates throughout the move to ensure clear visibility.